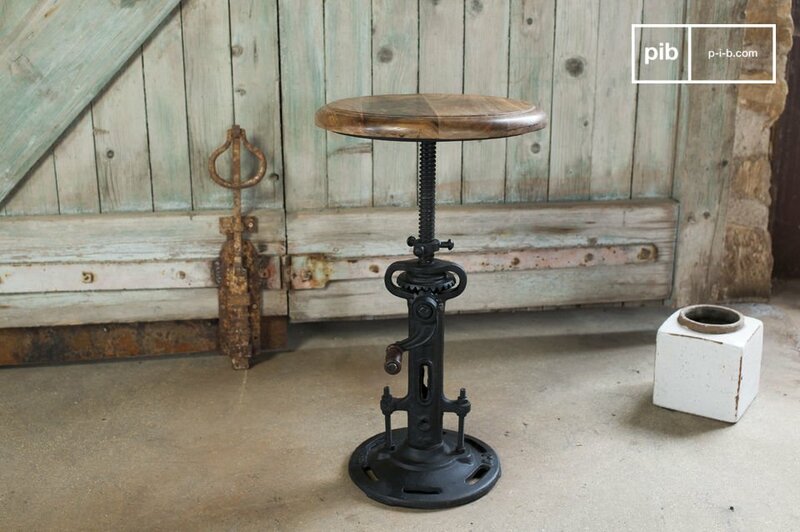 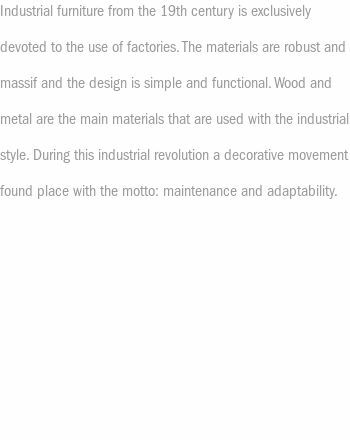 The industrial stool with crank will bring style in your interiors thanks to its originality and to its amusing look. 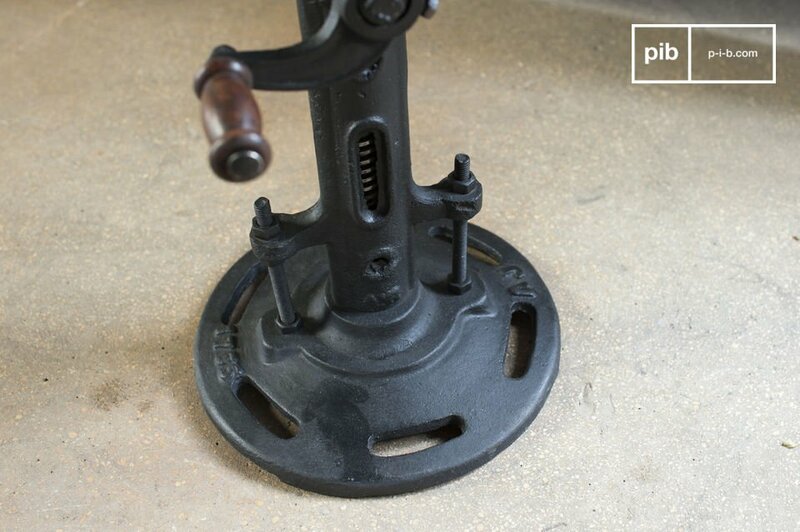 In fact on the base it is possible to find a crank to regulate the height of the seat from 47cm to 66cm. 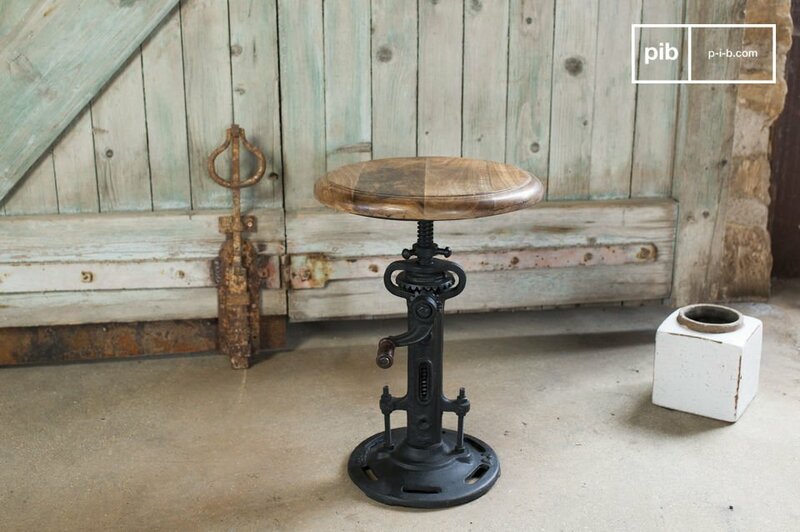 The seat of the stool is made out of massive varnished wood, while the structure is made out of cast iron and steel. 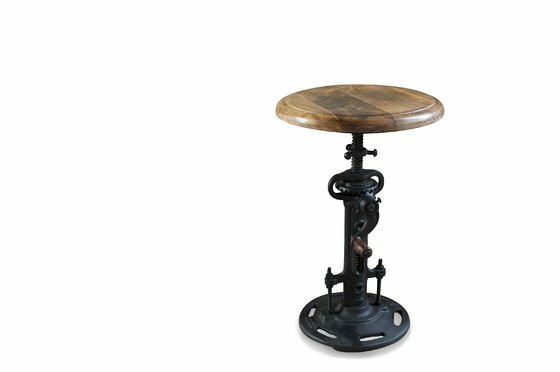 The industrial stool with crank will find its ideal place in an industrial design interior, where it will bring a touch of vintage flair. 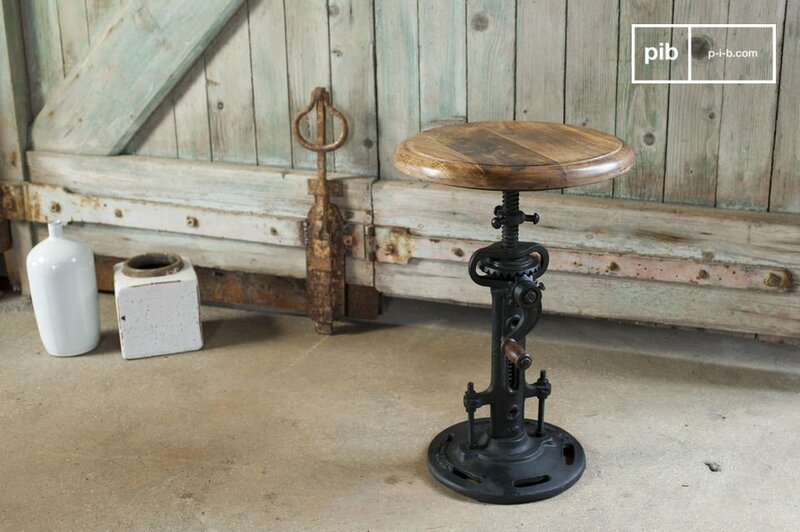 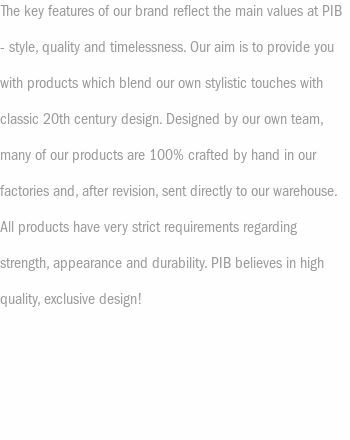 At the same time this industrial stool can be placed in a classic interior in order to create an interesting contrast. 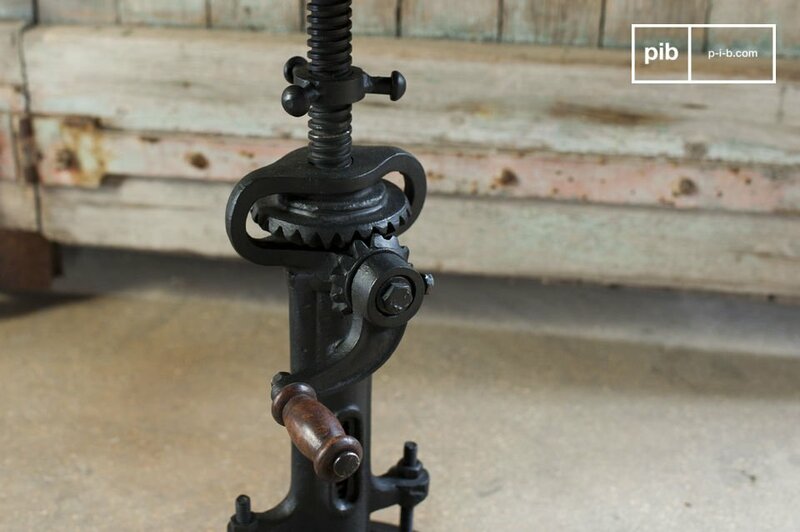 The stability of the stool is granted by a clamping nut.